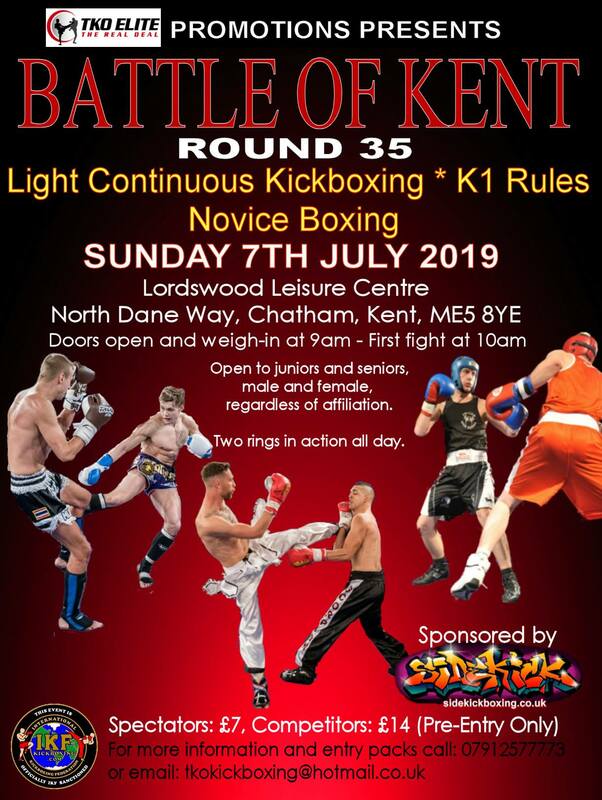 Our next big event for TKO Members to take part in is set for 7th July when we hold the Battle of Kent 35 at Lordswood Leisure centre. As before the event will feature K1 rules, Light continuous Kickboxing, Novice Boxing and is the ideal environment for anyone wishing to step into the ring for the first time. Look out for further details nearer the time, however I’m sure our instructors will be speaking to those they feel should consider this event as we get closer to the big day.